As you know... 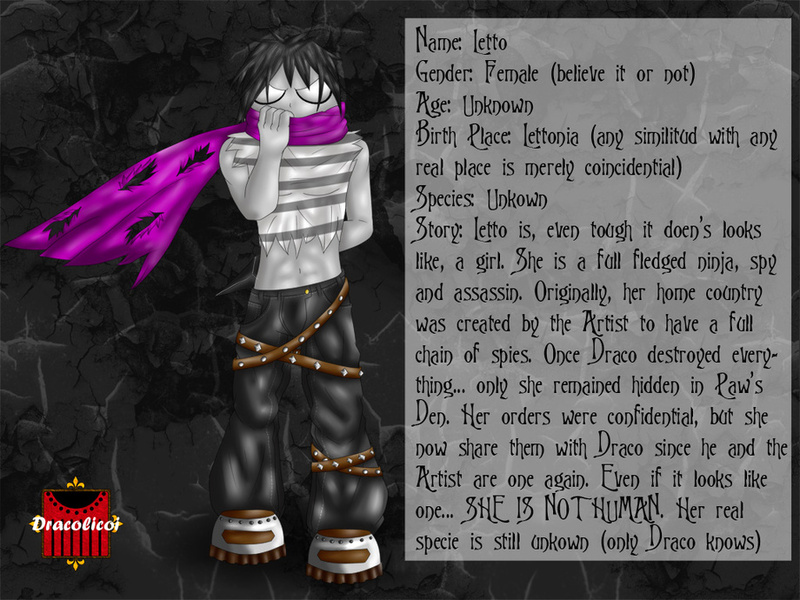 I rewrote Nordic Heart's script... some characters are gone (most of them from Dracolicoi's World), but one of the members from the original cast remains... and its... LETTO! the misterous ninja, spy assassin girl who doesn't looks like a girl!! Read the image to get a more detailed background!... soon I'll submit more info as a character sheet right here! Letto belongs to me... the original idea belongs to Leticia Trujillo.